Home / family / The one with the " Great Wall of Perry"
Ever since we moved into this house 3+ years ago we have been talking about what to do with the big wall in the living room. It has always seemed a little bare. We finally did something about it recently, and now that it is done I can't believe we didn't do it earlier. 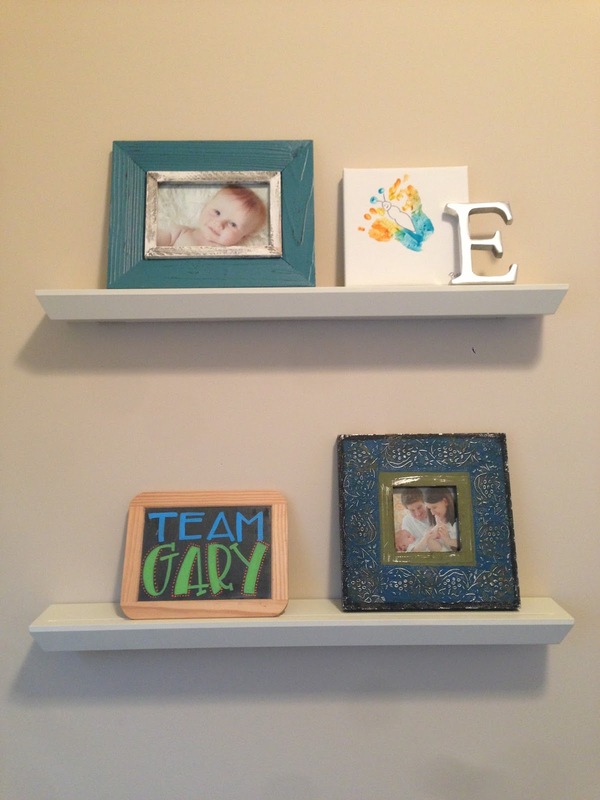 We found these amazing shallow ledges from Pottery Barn. The best part is that there is a lip on them that holds frames and other things in place. We got a 3 foot and a 4 foot ledge for each side of our media center. So now we have a place to display our photos of Perry...seriously it is a wall completely covered in Perry. But I love the flexibility of being able to easily switch out pictures or add other (non-photo) elements. Not living room related...but I updated the ledges in the craft room while I was at it.